The spotted sunfish is the most beautiful subdued sunfish, in my humble opinion. Florida is the destination fishery in the lower 48. As cool as salmon and steelhead and halibut are, it might even beat Alaska. So when I was driving back from Officer Training School in Alabama, I figured a small detour to Florida was a no-brainer. Pensacola was only a few hours off my beaten path, and I knew I could grab some new experiences and species with the detour. For some reason, before I hit Pensacola, I decided to fish a tiny freshwater stream running through the town of Century. I parked in a Whataburger parking lot, grabbed my ultralight rod, and walked 100 feet to the little stream. It was no more than a few pools of water, but I knew they held fish. I wasn’t wrong, and my tiny worm-tipped 1/64-ounce jig earned me a fish in no time. 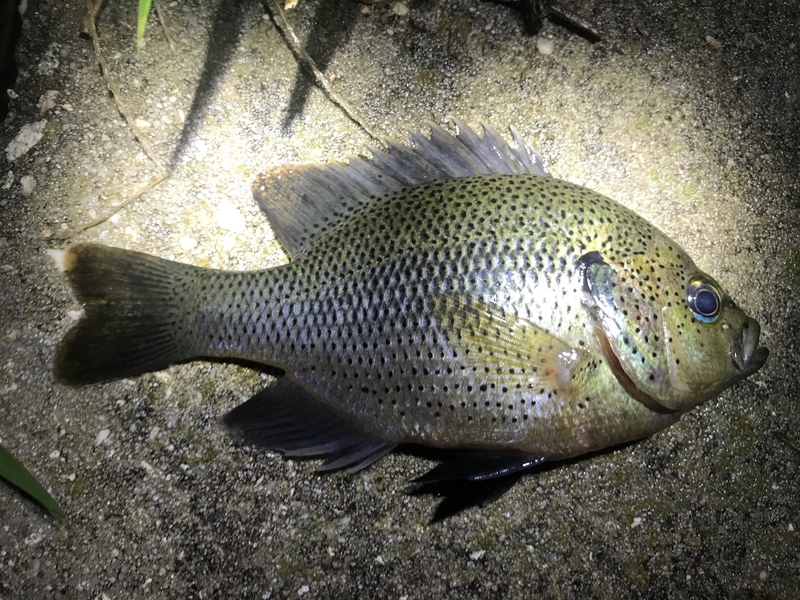 I thought Bluegill at first until I realized it wasn’t. It was a beautiful Spotted Sunfish! A new species and a beautiful one, at that. The baby blue eyeshadow, greenish-gray overtones and hundreds of black flecks that give the fish their name. Florida was looking to be the right call. Read the next entry in #SpeciesQuest here: Species #93 — Pinfish.